Automated Knitting Braiding - Capabilities - ZT | Zippertubing Co.
Construct durable solutions with automated knitting. The Zippertubing® Company surpasses all other custom solution providers with our ability to create any solution from virtually any raw material. We provide our customers the ability to produce durable, high-performance, circular knitted tubes and ground wires utilizing high-quality steel and fabric materials. Explore the possibilities of creating flexible, lightweight, high-performance solutions that can be knitted or braided together. 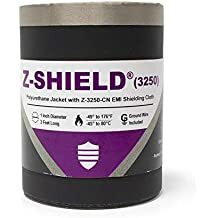 The fibers are woven together to create solutions that provide 360-degree cable protection ground braids for EMI Shielding and grounding, high-temperature-resistant applications, protection in harsh environments, and more. The ability to start production from the fibers of the necessary material gives our engineers full control to create solutions that are reliable and efficient. 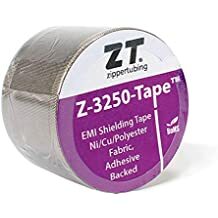 The Zippertubing® Company specializes in producing EMI shielding and braided ground wires designed to withstand environmentally tough applications. Our automated knitting machines have the power to manufacture complete solutions using almost any raw material, fitting for any environment, and solving any bundling, protection, grounding, and shielding problems.